The design on the Hudson New York Commemorative Silver Half Dollar includes part of the old city seal with Neptune riding a whale and a mermaid frolicking nearby. Wonder if this note from Henry Hudson’s diary influenced their city seal? 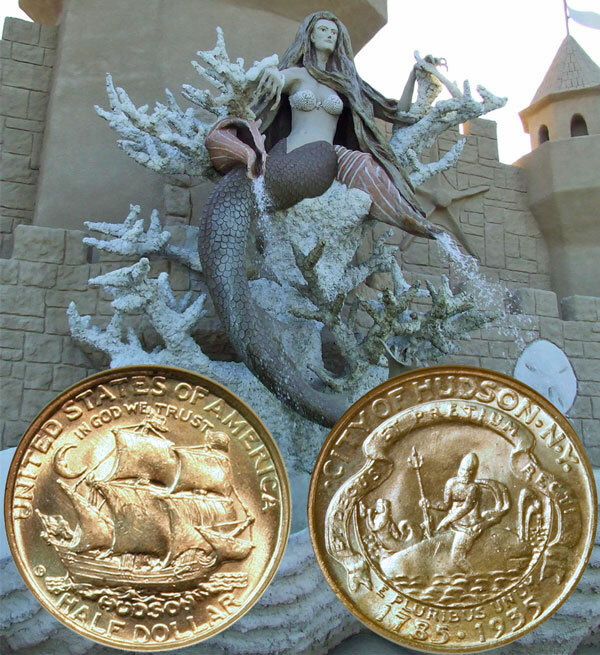 The Hudson New York Commemorative Silver Half Dollar shows against a background of an artist’s version of a mermaid.